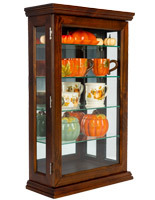 This curio china display cabinet with a rich mahogany finish is the perfect collector’s case for figurines and other treasures. 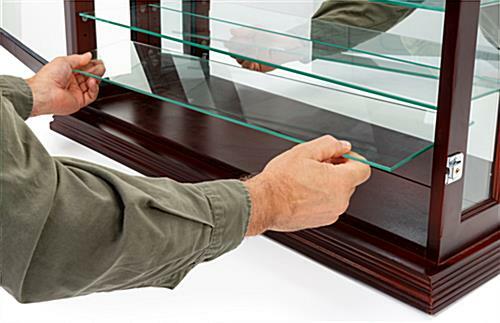 Three adjustable glass shelves can be easily removed and positioned at your desired height. 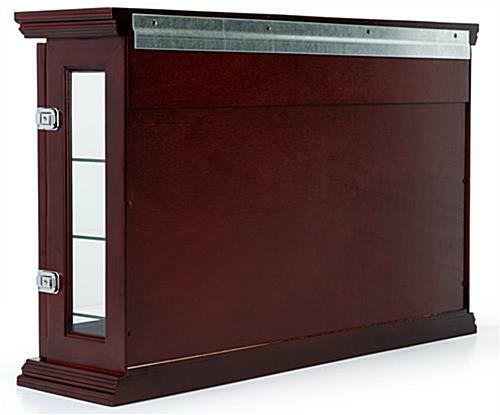 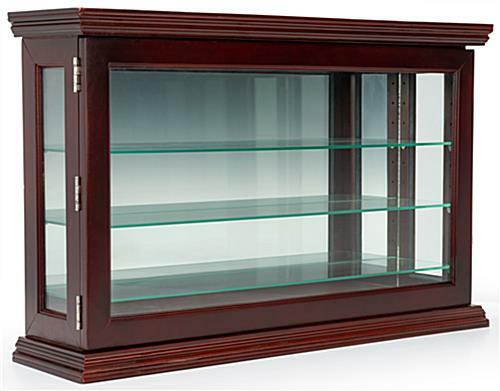 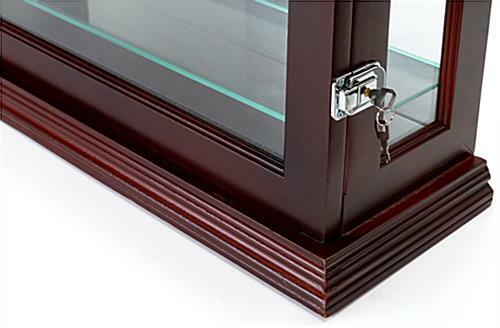 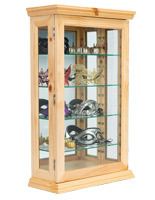 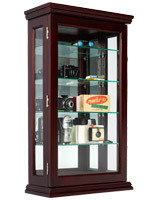 A locking hinged door secures your prized possessions within the curio display cabinet. 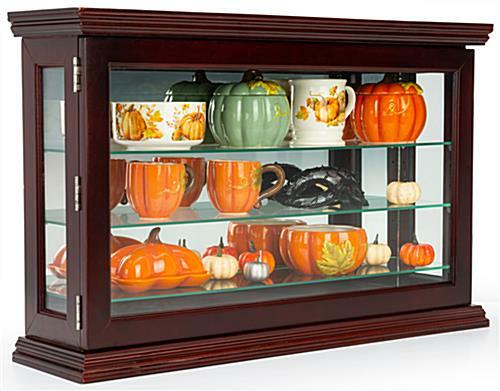 Use the included z-bars and wall anchors to hang the collector’s case or choose to simply place it on a countertop. 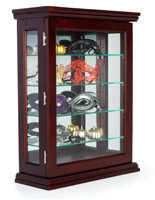 The reflective backer allows your treasures to be viewed from every angle. 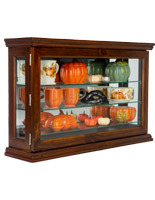 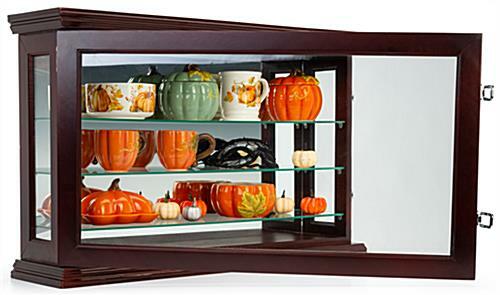 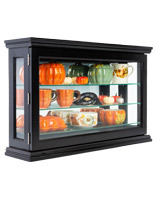 This glass curio display is an elegant way to exhibit your collection on the wall or on a countertop!